The past 12 months have seen Jon Hopkins reach a new level. New album 'Singularity' cracked the Top 10, while a breathtaking series of live shows climaxed with two unforgettable, long since sold out nights at London's Brixton Academy. It's been an exhausting experience, one that has pushed the producer to the limit, as he tackles fresh venues, and brand new audiences. Teaming up with War Child for their Safe & Sound series of live shows, however, offers the electronic musician some measure of respite. A headline show at London venue Shepherds Bush Empire finds Jon Hopkins dropping his set down a notch, utilising a piano onstage for dramatically re-interpret his work. Joined by Leo Abrahams, the show on November 25th (buy your ticket HERE) is something of a family affair, with Domino Records cohorts Alexis Taylor (of Hot Chip, performing a solo set) and George Fitzgerald joining the line up. What led to you becoming involved with the show? It happened a few weeks ago. I had a slightly strange and great experience with War Child before, back in 2009, when I’d been supporting Coldplay on tour, and the day we got back they went to do this benefit at Shepherds Bush Empire, and to cut a long story short I ended up playing piano for the song ‘Back For Good’ with Coldplay and Gary Barlow singing. Which is was pretty weird! I felt like I was in a dream, except it was someone else’s dream! Does Mr. Barlow keep in touch? The line up is fantastic – three artists from the Domino roster! Yes, it’s turned into a bit of a Domino-fest! They’re both mates, and really good musicians. I’ve done a lot of shows in London this year – the Village Underground one, and then two Brixton Academy shows – and they were natural in our approach. Village Underground was the launch show, and I was still working stuff out, and the Brixton shows were like… 45, 50 shows later this is where we’ve got to, and it’s evolved a lot. This time I want to do something really different, and as you probably know I’m playing piano onstage, which is a rare thing, and I’ll be joined by Leo Abrahams – who I’ve worked with for many, many years on guitar – so I’m working on a completely different set, really. There’ll be a couple of bangers in there, but hopefully it’s going to be focussing on the meditative side of what I’ve been doing. How so? In terms of the set list, or in the way the material has been treated? Well, there’s a piano onstage. Now, I haven’t completely worked out the set yet, but maybe half the set will be based around the piano, and it won’t be about dance music, it’ll be about something more contemplative. All my albums have that but you can’t do that at Brixton Academy – people don’t come along to that show on a Friday night to listen to maudlin piano. I tend to get the opportunities to play at more upbeat ravey things, so this is a much smaller venue. Hopefully I can get people to be quiet enough to listen to what will be going on with this piano. Will it be refreshing, then, to drop down a level into a more intimate venue? Yeah it is. Many things will make that night very different. The purpose of it all is to raise money for War Child, so if we can do that it’ll brilliant. But I’ve always liked smaller venues, and one of the things I’ve learned as a DJ is that not every show has to involve this huge production. The main touring live show has expanded to a lot of production, a lot of lights, a lot of visuals, which was always part of the plan but you can’t do that everywhere because sometimes there isn’t the budget, or the right venue. If you’re just doing a piano show you can drop down, performance-wise, and it’s great to feel your way into a more intimate space. Will it be collaborative on the night? No, no, we’re doing our own sets. Really? That’s great. I didn’t know that, I’m a bit behind on who’s done what this year because I’m working so hard on my own thing. It’ll be great to get the opportunity to see those two guys. I’ve done shows with George before – we did one together in Milan, I think, a few months ago. I’ve seen what he’s been doing, except that was his full band show, and I believe he’s DJing at this, so it’ll be a chance to see that. When you’re working at the pace you have over the past 12 months does it feel like operating in your own detached universe? Yeah. And that’s kind of unavoidable. The live shows have been quite intense – in October we would be in three or four countries each week, and time at home becomes very essential restoration time. There’s no real way of doing it healthily. There’s always going to be late nights, too much booze around, early mornings, and airports, and loads of flying. There’s no way – however hard you try – to do that healthily. You have to use the rest of the time as some sort of healthy hibernation. It also doesn’t really leave room to keep track of what everyone else is doing. But the touring schedule is calming down a bit now so hopefully I’ll be able to leave that bubble a bit as well. The schedule probably doesn’t allow for much time spent on creativity, was that another reason for accepting this show? Yes! Exactly. I’m unfortunately not one of those musicians who can sit there and write when I’m on tour – I don’t use software and synths, so I need my studio to actually make new stuff. What I can do is keep working on the live show, so when I’m away touring that’s what I’ll work on – I’ll be working on the live show in the hotel room right up until the show and just keep trying to improve it. In terms of new stuff I need time, space, and a studio. A show coming along like this is great, because it gives me a chance to show the other side of what I’m trying to do. It’s not all about visuals, and spectacular loud bangers, there’s all this other stuff as well. It’s a great thing to be able to do. There’s terrific nuance in your work – an album like your collaborative project with King Creosote, for example, is just so hushed, and ambient in places. Occasionally I get messages from people saying: oh when will you do a concert hall tour? People like the loud exciting shows, but the music isn’t just four/four kickers – there’s a lot of different styles in there. But just to shift focus away from constantly doing that. I do have plans to do a concert hall tour in a couple of years or something. So maybe this is sort of a taster of it. That’ll be nice. Will you be taking a break from touring? Or will 2019 be equally intense? Next year will be full of it. There’s a lot planned. We’ve confirmed a lot of festivals. In fact we’ve just announced Leeds and Bristol shows, which is exciting! There’s a lot more coming. The tour has only really just got going. Time off in January, and hopefully time to write in December. What does the writing process involve for you? Is it just a case of finally getting back to the studio and locking that door? In a way! It’s very hard to change your mindset, from touring old stuff and writing new stuff… so I have to allow for a few days leeway, a few days when I’ll go in and won’t get anything done, but eventually it will start warming up again and something new comes out. ‘Singularity’ was your first new album in five years – it must be wonderful to have the space to work like that. It was the same with ‘Immunity’ - I spent just as long on that one. In fact same with ‘Insides’ - or even longer! I’m very lucky. It’s a great luxury to feel like I won’t have to keep churning things out every year to stay afloat. I’ve been lucky in that some of the collaborations have given me that flexibility, and Domino never really add pressure – they’re one of the few labels, from my understanding, who remain happy for artists to really take as long as they want, and they never push you. It’s pretty great. I’m looking at more unconventional side projects now. There may be a bit of scoring here and there. But the real priority is looking for more unusual things to do. I’m into the idea of doing installations, sound installations, which you have to actually visit, rather than endlessly doing releases. I went on a caving trip to Equador last August, and part of the reason for that – I travelled with a neuro-scientist, some photographers, and an artist – and we all spent time there, absorbing the place. And the idea is to make an exhibition, and come up with some music and art that would represent the feel of this amazing place. That’s the kind of thing I am really lucky enough to be involved in as well. It’s very distinct from the circuit of touring. Touring itself involves that relationship between sound and space. Context is so important – a concert hall tour is a radically different shift from Brixton Academy. I’m interested in the way music sounds in different places, for sure, but also in the way different spaces inspire the sounds, and the way it can effect the consciousness, and the experience of the people in those places. That’s why I want to push the parameters of where I’m playing and how I’m doing it. There will always be the standard shows, but I’m always looking for more unusual ways of doing things. Will this be a one off piano performance, or could you re-visit the concept? In terms of what I’ll be playing this is almost a preview of the concert hall tour that I’m planning to book, which is a year or two away. In terms of doing benefits, generally, when there’s an undeniably worthy cause as this, it’s a no-brainer to say yes. 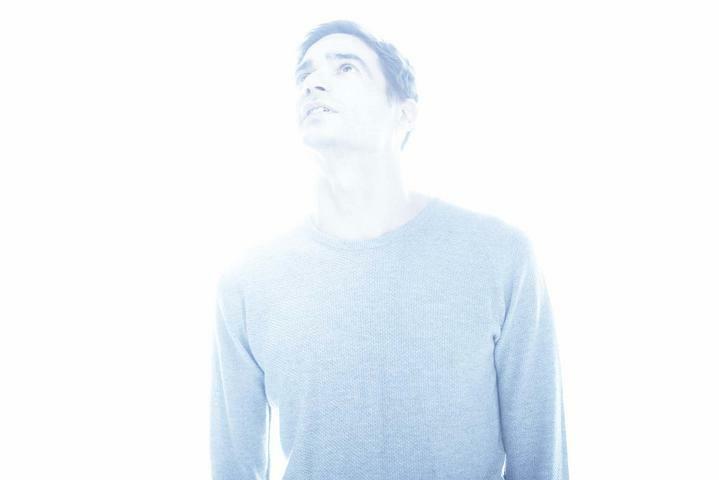 Jon Hopkins will play Shepherds Bush Empire, London on November 25th. For tickets to the latest Jon Hopkins shows click HERE.